Iranian President Hassan Rouhani has called on Pakistan to make further efforts to pave the way for immediate release of seven Iranian border guards kept captive by terrorists in Pakistan. “We hope our seven border guards still held captive by terrorist groups in Pakistan could be released and come back home immediately through serious operations by Pakistan’s army,” Rouhani said. 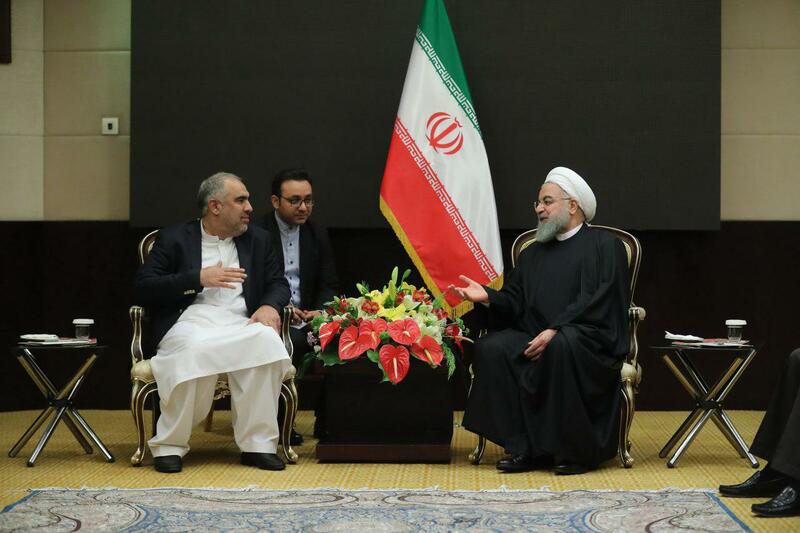 Rouhani made the comments in a Saturday meeting with Pakistan parliament’s speaker, Assad Qaiser, on the sidelines of the second gathering of Parliament speakers from Afghanistan, Iran, Pakistan, Turkey, China and Russia in Tehran. He expressed hope that the security cooperation between the two sides’ armies could expand to secure protect joint borders between Iran and Pakistan. He then called for all-out expansion of bilateral ties between Iran and Pakistan in fight against terrorism and added the fight is highly significant. “Those who have created the terrorist groups over the past decades have betrayed the regional nations,” he said. President Rouhani underlined that unfortunately some groups are taking advantage of the insecurity along the borders, adding the two sides should step up mutual security ties in fight against terrorism. He then said that the Islamic Republic is prepared for expansion of economic, cultural and scientific relations with Pakistan. Touching on Iran’s Chabahar and Pakistan’s Gwadar ports’ geographical situation, Rouhani said they can be used as platform to expand the two sides’ relations. “Having access to China through Gwadar port and reaching Russia, Central Asia, Caucasus and Europe through Chabahar have made them complementary,” he noted. For his part, Pakistan parliament’s speaker expressed his deep regret over the fatal terrorist attack in Chabahar on Thursday and said today the government and nation of Pakistan are united in fight against terror. He expressed his country’s interest in expansion of regional security and fight against terrorism and said Pakistan hopes the two sides could remove the current problems hampering their trade and economic relations.